The definition of a green economy is as elusive as the name itself. It appears to be divided somewhere between a green environment and green economy. In this article we will be looking at how Canada is doing today with a peek into the future. I consider every person living in Canada a Canadian when referring to this topic. No matter how many ways we think of a greener future everyone can participate. The population of Canada is slightly less than 37 million in 2018. Statistics Canada released the following statement in early 2019. "Motor vehicles accounted for close to three quarters of the total registered vehicles in Canada, with 24,000,000 million registrations. Ontario had the highest number of road motor vehicles registered at 8.7 million... with the 2016 census showing 15,900,000 million commute to work"
The largest majority of the vehicles use either regular, diesel or a bio-fuel combination. 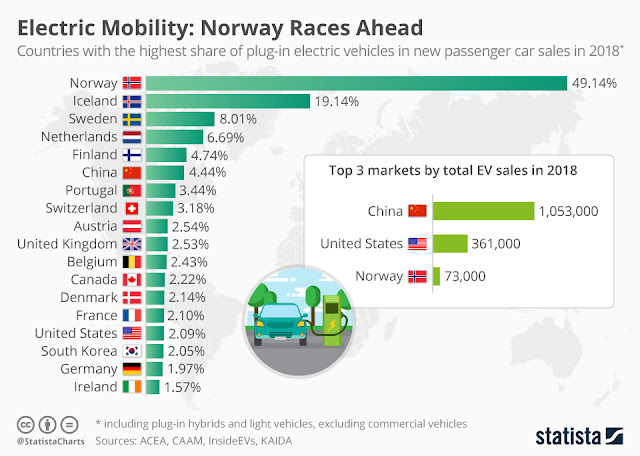 Almost an additional 35,000 plug-in electric vehicles were sold in Canada as of September, 2018. My purpose is not to drown you in page after page of statistics. Vehicles for the most part, are an extension of another fuel consuming location, our home. Canada is almost self-sufficient when looking at our natural gas and fossil fuel use. The question becomes: How do we get to a green economy without risking further loss of the natural environment? We have to some extent a country admired for natural wonders, given to us through the billions of years of the ever evolving planet Earth. Every human along with all life is indigenous and native to this planet. Energy is required for heating, water, sewage, electricity and seasonal cooling. Look around your home whether is be a house or rental suite. How many of your electrical outlets are in use at this moment? Please pause moment while you glance around your residence. How Friendly is the Energy Canadians Use? 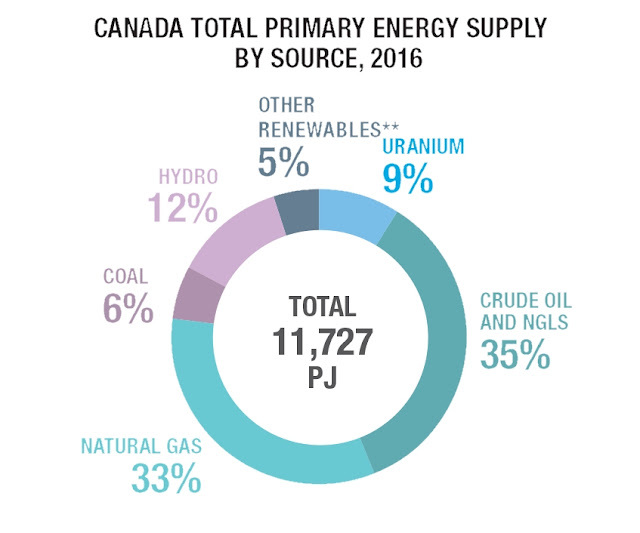 Looking at the graph above the renewable energy sector is approximately five percent in Canada. How much of what is called renewable is environmentally friendly? 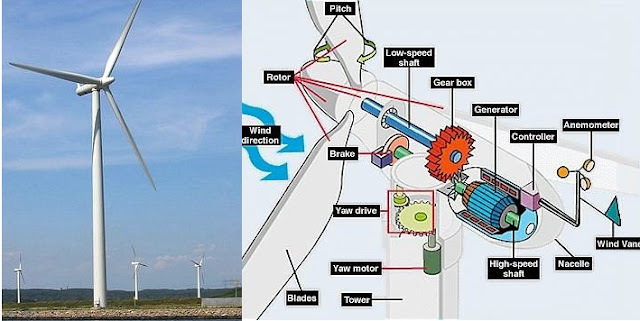 Energy created by Wind power uses large amounts non-renewable resources for construction and maintenance. Here is an example of the motor required to turn wind into a small amount of usable energy. How can Wind be considered non-renewable when it relies on diminishing raw natural resources? Nuclear power leaves behind a toxic and deadly poison to all life. What does Canada do with the spent nuclear fuel rods and other nuclear waste? As of today the nuclear waste is being stored in various places either in steel drums or nuclear waste cooling ponds. Ontario Power Generation (OPG) is looking for a location to store the waste in a fuel dump either 1.6 km from Lake Huron or in Northwestern Ontario. It will be kept safe for 100s of 1000s of years says OPG. It may surprise people to read about the proposed nuclear waste dump site mainly because Canada's media avoids the topic. Drill holes have been completed in the second location outside of Ignace, Ontario on Wabigoon Lake Ojibway Nation land. 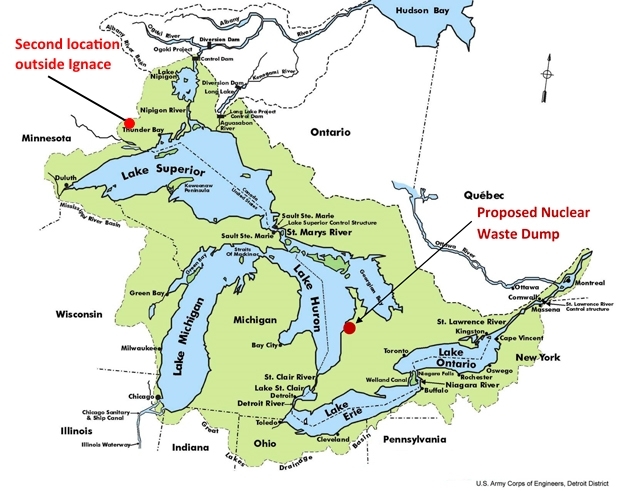 Try to imagine transporting deadly toxic nuclear waste from southern Ontario to any location in northwestern Ontario? 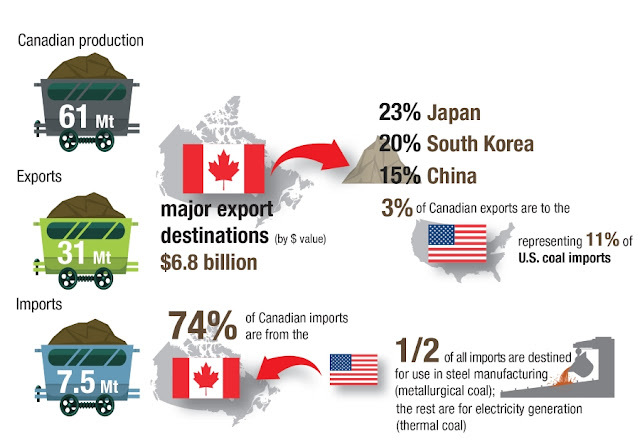 Coal pollutes the earth, water and air yet Canada continues to use it. When Rachel Notley announced the closure of coal fired plants she was met with opposition party resistance. United Conservative Party leader Jason Kenney pledged that he would end the NDP’s statutory shutdown of coal. The remaining coal fired plants will be phased out by 2030 in Alberta. Natural gas and renewable solar sources will be used instead of coal. Hydraulic fracturing aka fracking, also referred as shale gas, is becoming a major source of non-conventional natural gas. Definitely a non-renewable resource. While we argue about one government versus another government it is our city governments who are talking up grand proposals for happy campers. In the next segment I will show you information about a few major cities from coast to coast. The main focus is on how environmentally friendly are the most costly proposed or under-construction projects from the cities.